After email the second tool I use the most on my laptop is Skype. I make a lot of phone calls with Skype everyday and I really like the conference calling feature to connect with customers and colleagues. Everyone I work with uses Skype and it's really easy to stay connected. I use the Skype instant messaging feature to send a quick message to my coworkers in different countries. If a chat conversation becomes too detailed we can quickly call each other using the free Skype to Skype call feature. We also use the Skype conference call feature for our weekly team meetings or any time we need more than two people on the call. These features are available when everyone is using Skype software. It's free, which is good when you are all in different cities or countries. I've held conference calls with people in Canada, United States, Europe and South America all at the same time. If you chat in the conference window everyone will see your message. This is great if you want everyone to go to a specific website. You can also send a chat message to one person. This is nice if you are in a customer meeting and want to send a private message to a colleague. Using the Skype dashboard you can quickly determine if everyone is online. If someone hasn't joined the call you can instant message them to get their status. 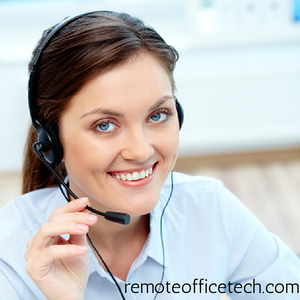 If there are any connection problems during the call you can instant message the person or entire team. I found that the chat feature usually works when there is an issue with the voice call. I expect this is because a voice call will use more bandwidth and has issues with long latency. To be aware of possible issues before they happen. Everyone needs to be using Skype. Someone might have a bad Internet connection or not connected to the Internet. You may not want to give everyone your Skype username to connect to the call. The connection could be bad for one or multiple people. Sometimes ending the call and restarting can resolve this one. The next section has a few solution you can implement to have a successful meeting. What if someone can't connect with Skype? If somebody can't connect to your Skype conference call the best solution is to setup a standard audio conference bridge. Then you call the conference bridge with your Skype software and then add everyone else that is using the Skype software. This is the best of both worlds. Basically, you are adding the standard conference bridge as a one caller on your conference call. have a standard you can add Skype callers for free and people not using the software can call into the bridge with their landline or mobile phone. This really takes care of everyone. They could be out of their office and not able to connect to the Internet. They may not have Skype installed on their computer. Their Internet connection might be very slow or have long delays and latency. There could be a problem with their computer or the installed software that is causing issue. This is super simple, once you have the conference bridge number and password. Just dial-in like you would usually when you are on a phone. Once you are connected you can add other Skype users to the call. This is really handy if the conference bridge is a local number and you are connecting people that are in another city or country. I use this a lot when I'm connecting to a toll free bridge in the US and other people are connecting from Europe. It's a free call for me and I can add them into the bridge for free. You can also use Skype to make video conference calls. Like the audio service everyone needs to be running the Skype software. It's recommended that everyone is running the same version of software. If you run into any issues making a video call, you should check the version first. Video calls between two people has always been free and recently they introduced free Skype group video calls. This allows up to ten people to connect using their video conference service, but they recommend up to 5 for the best experience. It's also recommended that everyone has a high speed Internet connection. This is because video uses a lot more bandwidth than just a regular call. If you run into any issues during a video call I would recommend you drop the video session and see if you can communicate. One thing to note is that the video conferencing software is only works on Window machines and Mac desktops. So it's not available on Smartphones and Tablets. I expect that will change in the future.